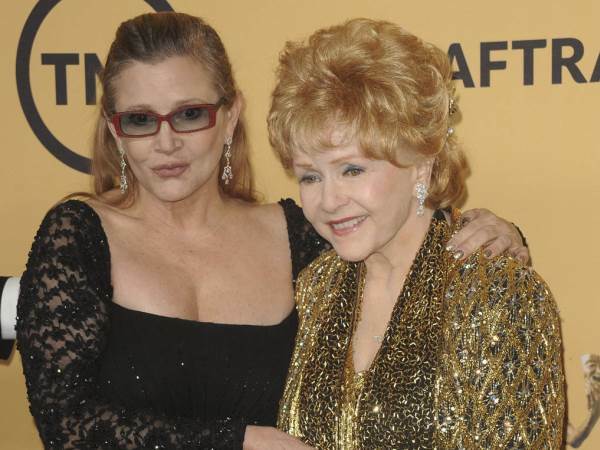 "She literally looked at me and said, 'I want to go be with Carrie' and closed her eyes and went to sleep." Debbie Reynolds asked her son Todd Fisher for permission to die shortly before she passed away. The Singin' in the Rain legend died on 28 December, just a day after her Star Wars actress daughter Carrie Fisher passed away, aged 60, on 27 December. Debbie's other child, Todd, and granddaughter Billie Lourd, 24, are still struggling to come to terms with the double deaths, with the 59-year-old producer admitting that, looking back, he now realises Debbie was setting her passing up during a conversation they had shortly before her death. "But then she was like asking my permission (to go). I (said), 'You're going to be OK, everything is under control.'" Debbie then continued her conversation with Todd by going through her estate and leaving him specific instructions for various aspects of what to do in the event of her death. "The next morning, we had a little further dialogue and she chose to leave the planet in front of my face two feet away. If you had told me this story and I wasn't there, I would have a very hard time believing what I saw," he mused. "But she literally looked at me and said, 'I want to go be with Carrie' and closed her eyes and went to sleep." Another person struggling significantly following Carrie and Debbie's deaths is Billie - who lost both her mother and grandmother in the space of two days. Asked how Billie is coping, Todd revealed she was feeling the "vacuum in the room" after suffering "two gigantic losses" and he's doing his best to "let her breathe".